Submit your Cleveland Thai news and events. Submit your Cleveland Thai organizations and resources. Submit your Cleveland Thai jobs, classes and other opportunities. Submit your Cleveland Thai Feedback and Memories. 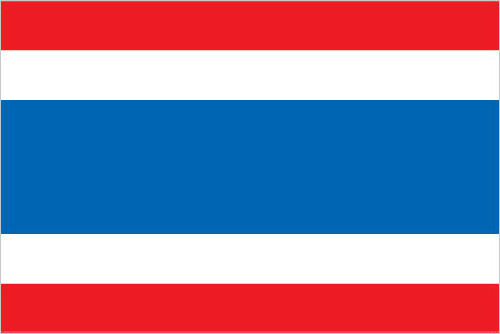 A unified Thai kingdom was established in the mid-14th century. Known as Siam until 1939, Thailand is the only Southeast Asian country never to have been taken over by a European power. A bloodless revolution in 1932 led to a constitutional monarchy. In alliance with Japan during World War II, Thailand became a US treaty ally in 1954 after sending troops to Korea and later fighting alongside the United States in Vietnam. A blanket amnesty bill for individuals involved in street protests, altered at the last minute to include all political crimes - including all convictions against Thaksin - triggered months of large-scale anti-government protests in Bangkok beginning in November 2013. In early May 2014 Yinglak was removed from office and in late May 2014 the Royal Thai Army staged a coup against the caretaker government. Thailand has also experienced violence associated with the ethno-nationalist insurgency in Thailand's southern Malay-Muslim majority provinces. Since January 2004, thousands have been killed and wounded in the insurgency. Submit your Cleveland Thai cultural items. If you are interested in being considered to be an official ClevelandPeople.com Ambassador to the Cleveland Thai community, please contact us. If you want to reach the Thai community in Cleveland and Northeast Ohio, please contact us.